Rarely will you come across a Calcuttan who doesn’t swear by this descendant of the Pani Puri/Gol Gappa family. 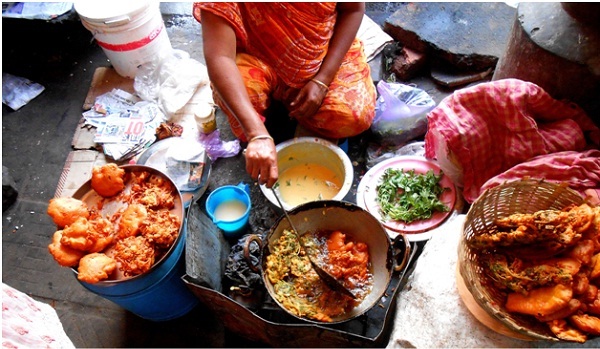 One of the most iconic street food in the streets of the city, Phuchka comes in numerous variations, sometimes with yoghurt (doi phuchka or dahi phuchka, as it is known here), sometimes even with vodka shots. In fact, the filling of spiced mashed potatoes dipped in tamarind water or meethe paani (mishti jol) is simply put an explosion of spicy tart, crunch and softness from the potatoes that account for a milieu of happy memories. This is inarguably, the most famous street food from Kolkata to have traversed across continents, thanks to the enormous popularity of Jhalmuri. In fact, Jhumpa Lahiri, in her novel Namesake synonymously used Jhalmuri for nostalgia. Basically consisting of puffed rice, chanachur or/and jhuri bhaja (bhujia, sometimes), chopped onions, chillis, tomatoes, coriander, spices, nuts and tossed in mustard oil, Jhalmuri is a light and entirely satisfying snack to have in afternoons or between meals. Calcuttans tend to be nostalgic about Jhalmuri being served in old newspaper cones, as is the tradition even now. Nizam’s is usually credited with the invention of this magnificent idea of a Kathi roll supposed to be held in the hand and eaten. 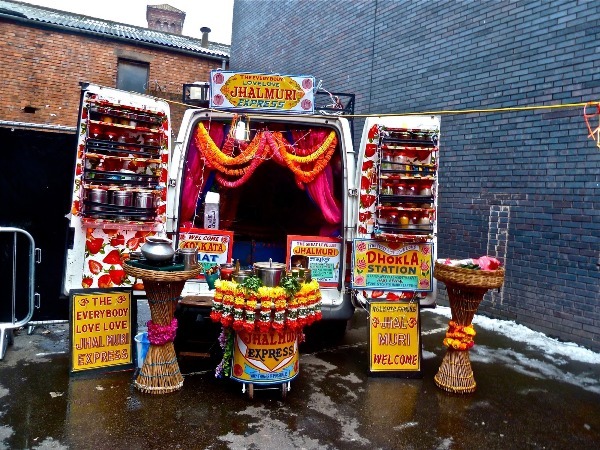 Essentially a chapatti or a parantha (handmade unleavened bread) filled with the juiciest of mutton kebabs, fried chicken pieces, mutton keema, paneer or fried egg, rolls are easily one of the most devoured and preferred of street foods in the city. 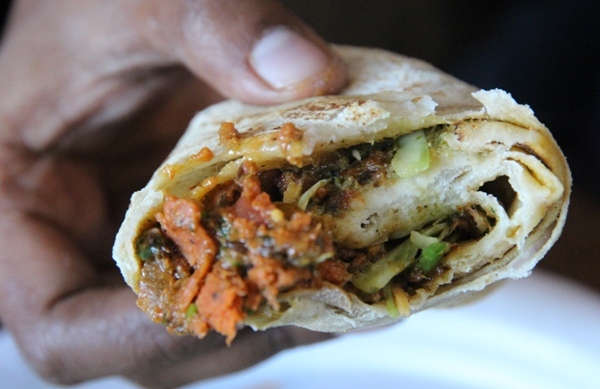 Kathi rolls are pretty much like the Mexican burritos, or the Spanish handheld tacos, only necessarily Indian. Beguni, Phuluri, Peyaji, Alu’r chop, Vegetable chop and for the truly adventurous , quirky additions to the traditional list with Aam’er chop, Aada’r chop, Lotey maachh’er chop, et al.The city is most frequently dotted with shacks and stalls which provide one with the tastiest of fried snacks. Deliciously oily and sinful, the crispy cornflour (or besan) battered fries of items ranging from onion rings, potatoes, aubergine slices to quirkier stuff like raw mangoes, ginger, Bombay Duck (lotey maach), coriander leaves, et al are what every Calcuttan outside the state detest missing out on. These are as mouthwatering as it gets without leaving a dent in your wallet. 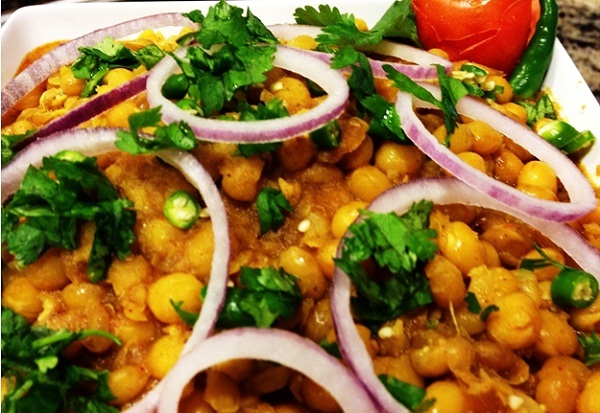 A typical Bengali dish, ghugni, is made of yellow dried peas or white peas, boiled and tossed in with chopped coriander, coconut, onion, chillis, tomatoes and tamarind water and seasoned with spices. A spoonful of Ghugni will burst into a plethora of unthinkable flavours into your mouth. 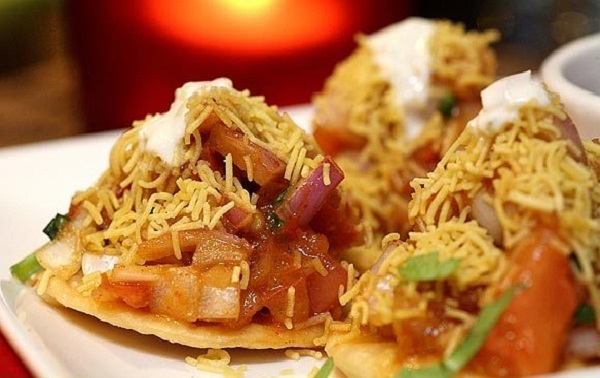 Another happy addition from the northwest of India, Papri Chaat in Kolkata is a slight twist of a popular snack in places like Mumbai, Delhi, Goa, etc. Papri or deep fried chips are laid down first and topped with spiced potatoes, chopped onions, coriander, chillis, yellow Indian peas boiled, and dressed in red tamarind chutney that tastes tangy sweet. It’s quite like the Mexican nachos, only Indian, and if you ask me, way tastier. 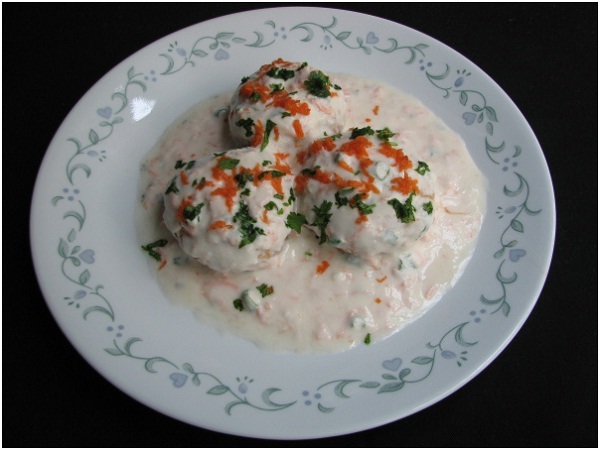 Also known as Dahi Bhalla in Punjabi, this dish is popular all over India and deservedly so. They are deep fried vadas that are softened in water and then transferred in a bowl of beaten yoghurt. Mostly, the yoghurt is seasoned with masala, chilli powder, lime, coriander or pudina leaves, pepper, coconut, cumin, etc. Dahi vadas are not harsh on your tummies and in fact, serve as nice snacks to have during the sultry months of summer. 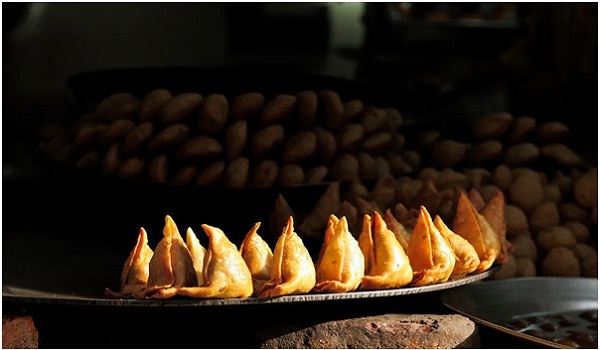 Usually an evening snack, shingara or samosa, as it is called all over India, are generally vegetarian and often had with chutneys or ketchup. Shingara is a tetrahedral shaped fried or baked pastry filled with potatoes, peanuts, onions, etc. They may also be available with fillings of mutton keema (minced mutton cooked), chicken, lamb, et al. 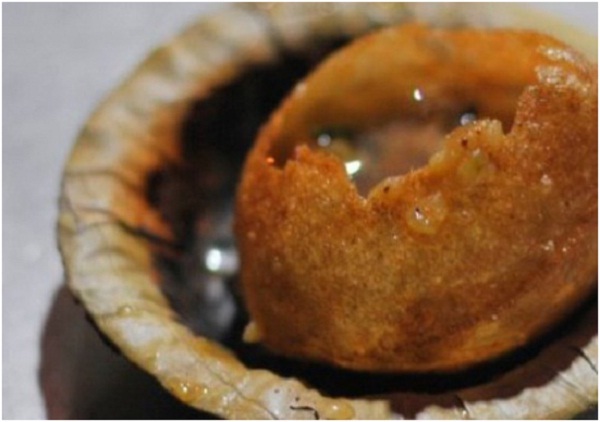 Shingaras over tea used to be a quintessential snack for guests who paid a quick evening visit in a Bengali household. Street food at Kolkata has undergone heavy influence of Chinese cuisine, thanks to the Chinese community living in the state. 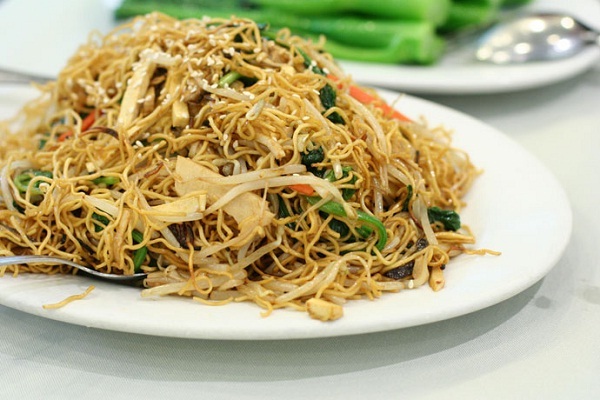 Chowmein or ‘Chow’ as it is usually called, is stir fried noodles topped with chicken strips, fried scrambled eggs, stir fried vegetables, chopped onion and cucumber salad and ketchup. The noodles are quite hot and spicy, unlike its Chinese cousin, just the way Indians love it. 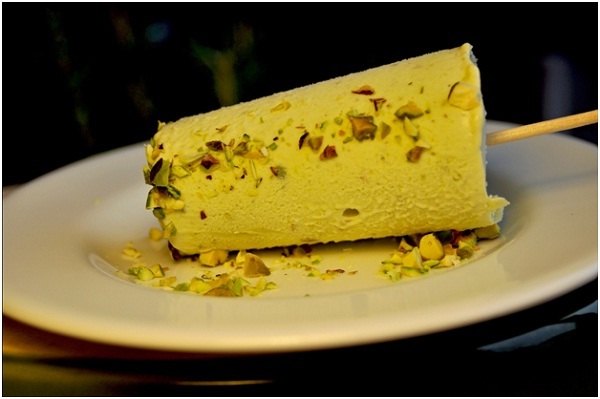 A popular frozen dessert had around the streets, kulfi is Kolkata’s own ice cream (though found all over the subcontinent) and comes in various flavours. A must try during the sultry summers if you happen to be in the city. Kulfi’s creamier and heavier than ice cream and if you ask me, better than most ice-creams.